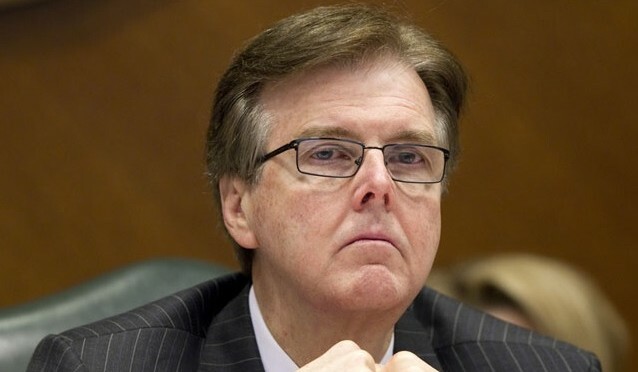 This is what Dan Patrick proclaimed shortly after ascending to the state’s second highest office. But under his leadership, it may be the state’s highest office in actuality. The old dynamics of the Perry era– a “showboat Governor” at the helm with a more passive, pensive Lieutenant Governor on the dyess– have been turned on their head. In the new guard of state leadership, there is no question that Governor Abbott has the cooler head. Making good on two longstanding committees, Patrick both consolidated the number of committees and significantly reduced the number of Democratic chairs for those committees that remained. Three committees (Government Organization, Jurisprudence and Open Government) got the ax, and a further two committees (Economic Development and Natural Resources, respectively) were merged. This had the overall effect of slashing the total number of committees from 18 to 14. Yes Texas… your new Lieutenant Governor has axed the Open Government committee. Anyone see the irony here?? The committee shake-ups come less than one week after the Senate scrapped one of its oldest traditions of requiring a two-thirds majority to deem a bill filibuster proof. This prevents any other Democrat from creating moments like Wendy Davis did in 2011 and 2013. One thing can be said in earnest for Patrick though… he has stayed true to his word. So far, he has honored each and every promise he made to swing Texas government even further to the fringe Right than once thought possible. Democrats will have no place in the Senate in 2015, unless they can beg Republican friends for support. So yes, we can all agree with our new Lieutenant Governor… it is indeed a new day in Texas. The question is… what challenges will that new day bring? Hang on everyone. Looks like we’re in for a bumpy ride. Time to put the house up for sale. Just moved here a year ago, and am sick of the repub BS already. There will be no fixing this state as the the people just don’t vote. Pretty effed up that such a small percentage of the people in this huge state can screw it up for all the rest. I believe I was told that only about 36% of registered voters bothered to vote. THAT IS THE PROBLEM IN THIS STATE. Our state is run by a bunch of racist bigots who think they have a mandate to do as they please because all of their base voted for them.